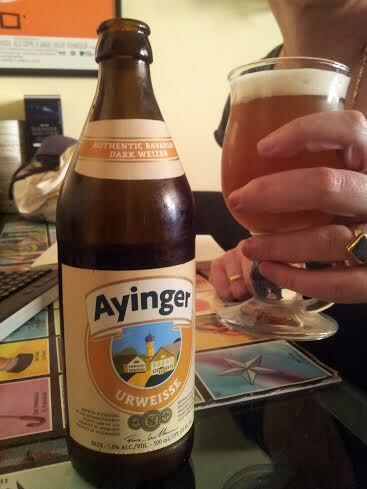 Ayinger Ur-Weisse – a bottle bought in New York by my Excellent Little Brother. I like this Bavarian brewery very much. Their Doppelbock, Ayinger Celebrator, is one of the first beers I reviewed here, almost 3 years ago. It was beer #26 – time really does fly. Ayinger Ur-Weisse is a dunkelweizen, dark wheat beer, and a very pleasing one! It pours cloudy dark amber-to-light-brown with a frothy white head, has an aromatic honeydew scent with caramel-toffee, a little clove and ripe banana. How does it taste? Like a very ripe cantaloupe, sweet, but not burdening on the tongue. Full-bodied, very carbonated, a little spicy ending – all this with only 4 ingredients, Reinheitsgebot in its best. Firestone Walker is another brewery that’s not new to this blog. 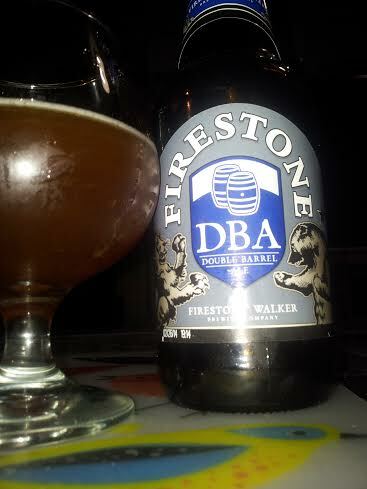 Firestone Walker Union Jack IPA was reviewed here in November 2012, and now it’s turn for Firestone Walker Double Barrel Ale or DBA. It’s a hazy bronze-brown ESB with 5%abv. Some nuts, some caramel, a little earth in the nose, Earthy taste that’s mildly bitter, full-bodied and fairly carbonated with a long, nutty finish. Quite nice. Firestone walker has another beer listed in the Book – Anniversary Ale. It was retired but I’m the lookout for it. If anyone’s got a clue or a bottle to share/ spare/ trade, please drop me a note. 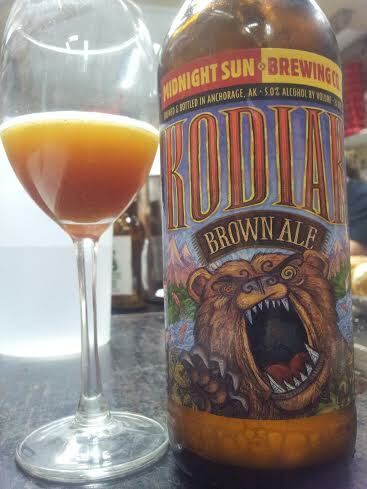 Another beer my Excellent Little Brother got for me is Kodiak Brown Ale from Midnight Sun brewery in Alaska. It’s a decent beer that pours murky brown with a cute yellowish head. It smells a little dry with notes of nutmeg, prune and figs and some other nuts too, and tastes sweetish – more malty than bitter. Medium-to-full-bodied, fairly carbonated, with some more nuts in the aftertaste. 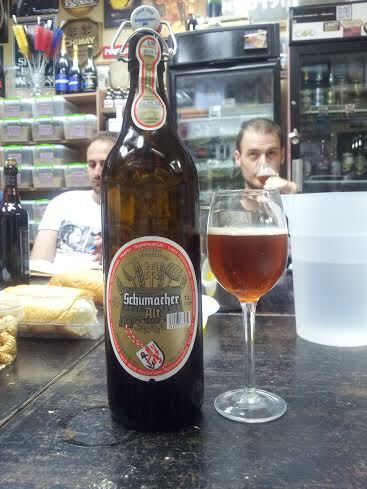 Last one for today is Schumacher Alt, an Altbier that The Dead Swedish Girl shared at a tasting. I’ll cover the other altbiers that crossed my path in the past year some other time, but this, by far, is one of the better ones, if not the best to date. Clear bronze-brown with a quick dissolving white head. Full, grainy aroma. Fresh, bitter taste, very grainy with apparent hops. Light-bodied, carbonated, long-grainy aftertaste. Really good. Ayinger Ur-Weisse, Firestone Walker Double Barrel Ale, Midnight Sun Kodiak Brown Ale and Schumacher Alt are beers #362, #363, #364 and #365 I Must Try Before I Die.